However, if you need traffic, I hope you listen to this podcast with an open mind before disregarding the concept. Like a lot of you, I had no interest in spending money and supporting Facebook by buying ads. But after I learned more about “the ad system” this summer, I am singing a different tune. And if you are struggling with traffic, this podcast will offer new insight and give you something to try. And no, you don’t have to spend a lot of money. Anyone who says you have to spend 20 or 30 cents per like is doing something very wrong. You can still get U.S. likes for under 10 cents. It’s all about the image and targeting. You may remember my post about building Facebook niche pages to sell shirts. Let me be honest. That model is getting saturated, and it’s going to cost the average person a good amount of money to make money. That’s NOT the focus of this podcast. I actually think it’s better to monetize using your existing audience like I do with Spreadshirt because there are no upfront costs. So instead of trying to directly monetize the pages, you can use the the page to build up an audience for your website and email list. And if you’re worried about buying traffic that will never see your content, worry no more. There are simple things you should do from the very beginning that I wish I had done with my page for this site. The above page was just created in July and only has 3700 total page likes. I’ll explain in the podcast how I created the ad to keep the cost per like down, and how I’m keeping engagement up. The page I’m talking about in the podcast went viral last week after posting a funny meme, and has gained over 1300 likes in the last week. As a result I sold a ton of shirts. Here’s a snapshot of my inbox from a 20 minute period of sales. They just kept coming for two days straight. I’m so glad I didn’t listen to the naysayers about Facebook ads. This is why you have to try things out for yourself! Right click this link and “Save As” to download podcast. Is Facebook Wrong? Do You Feel Duped? Weigh In! Lisa Have you made any update videos on the facebook page for selling t-shirts? No I sure haven’t. I was never able to replicate the success of that main page so I basically said all I have to say on that. LOL The page is still doing very well though and growing organically. I haven’t had to buy any more ads. It now has nearly 11,000 likes. I had a good experience with Facebook ads. 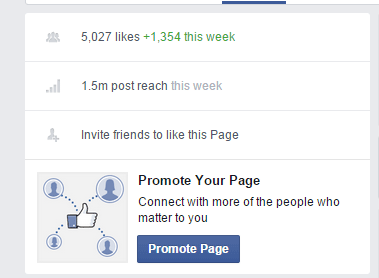 I once ran a campaign and got +500 new fans in less than 2 days. With just a few dollars of investment. I would like to know if facebook traffic (paid or unpaid) can be directed to affiliate product? 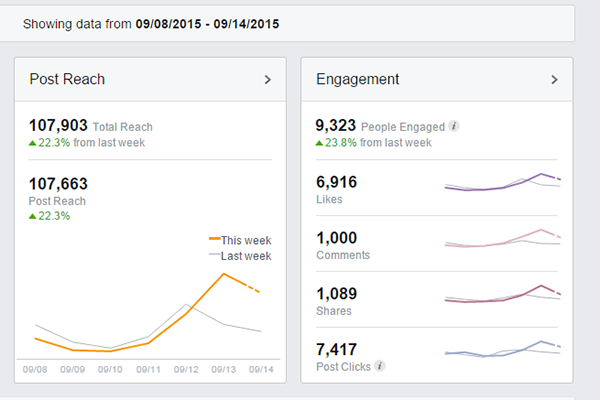 I understand facebook traffic can be very targeted but I would like to know if anybody is doing this successfully? Absolutely you can. There are some people who make a living promoting affiliate products with paid traffic. It can be very expensive to figure out but it’s perfectly fine to do that. And yes you can also use affiliate links in your free posts on your page. Hey! 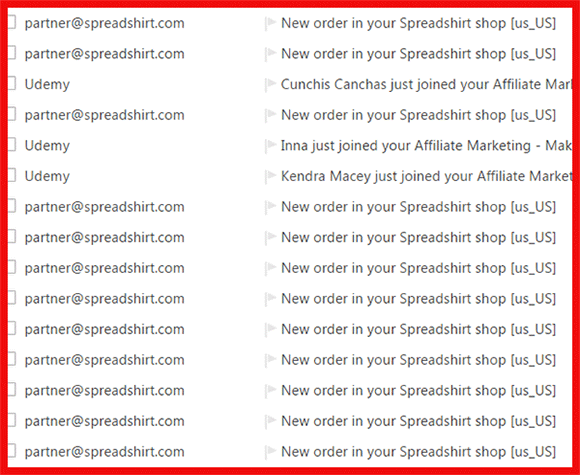 I have a couple of affiliate programs (in clothing, jewelry and gifts) and my Spreadshirt store. I also have a store on ebay that I created a FB page for to generate more traffic. My question is this: should I create four different FB pages (one for each program), or can I create one general page that covers all of the programs? If the audience for your stores are the same, I would keep them all on one site. But if there isn’t much crossover, I’d treat them as separate businesses/sites. Thanks! have always been thinking that facebook advert is a scam. That seems to be a lot of people’s opinions but I’m here to tell you it’s not a scam. Is it challenging? Yes! But my experiment just really paid off last night. Came home to 15+ orders for one shirt I promoted on the page 2 weeks ago. They are still coming in today. I guess a group of fans of the page decided to all get the same shirt because the orders were for the same design. Nevertheless, my page is now profiting and you can make this work. It’s a combination of finding the right niche, keeping engagement up using fun/humor and knowing what to sell. Thanks for your opinion but I am still worried about facebook page likes and post reaches. Actually I am little bit confused about from where to start up? with post reach or page likes? Well you can’t get a reach without likes. So I started with buying likes and then worked up on building up post reach. Indeed, I’ve been seeing so many people singing good songs about Facebook lately and i can see that it has become a very good way of driving targeted traffic to any page. However, most of us do not really know how best to go about it without wasting so much money and that is exactly what has been holding me back ever since. Is there any resource you can recommend for learning Facebook advertising or can you just write a post on it? I can’t wait to listen to this episode. Follow Jon Loomer. http://www.jonloomer.com/ He is the Facebook advertising king and has a lot of great tips on his blog. My recommendation is to always set a very, very, low budget. For example I would would only spend $1-2 max per campaign and I honestly didn’t spend as much as you would think. If an ad is not converting I quickly cancel it. I’ve already visited his site and will follow him bumper to bumper :). Thanks a lot for the recommendation and happy new week. Hi Lisa, I got burned out too. With internet marketing, blogging, and affiliate marketing. I got burned out too because I pour out my heart, energy, and soul in to teaching and growing my list but only a hand full (literally just a handful we can count on our hands) would do what I recommend and suggest. I got tired of my email list opening my emails (because of course Aweber shows me my stats) and the open subscribers would not take action. It literally drained the life out of me. I stopped ALL of it. Thank you for being BOLD, HONEST, and TAKING ACTION!! I think people start out with good intentions and excitement, but once they realize how much work it truly is, they become de-motivated and/or overwhelmed. There’s so much more that goes into running your own business than I think people realize. The lifestyle, freedom and money is often very motivating for them at first, but they don’t realize that it doesn’t happen overnight. I read email open rates are at an all-time low overall b/c of people getting so much email and filters like GMail’s Promotions tab, etc. I was just testing an AWeber email yesterday and it went to my Spam folder. So imagine how many of the other people on your list this happens to. But I know what you mean about people not taking action. I had a guy email for help and I sent him to a page that answered every question and more. He replied with a question that was answered in the 2nd paragraph of the page. I asked if he read the page and he said he didn’t have time to read it. I get this a lot. So if people don’t have time to read a paragraph, I wonder how they are going to make time to start a business? lol Anyway that’s my rant. Ha ha ha! Good luck on your new ventures. Thank you for sharing your story. Ha ha ha! Oh wow, Nancy yes. This is the story of my life online!!! Or I’ll get the people who go to my facebook page and say “How do I create a website?” And that’s the first thing on my homepage. SMH!! All I can say about Advertising on Facebook is all just a matter of “Trial-and-Error”. But I like more the way how you say it Lisa as, “test, test, test”. On my first try, I actually lost my money. But it’s okay because I believe that anyone who does it the first time will surely fail unless he or she is a genius (sadly, I’m not). So in my succeeding attempts, I learned and discovered some techniques that works which I am keeping it to myself. Yep! I don’t know anyone who hasn’t lost money at first. Paid advertising has a learning curve and you have to be willing to lose something upfront. What I do is budget very conservatively so I don’t lose too much on a campaign. I’ve gotten to the point that if I spend $1 or $2 I can already tell whether or not I need to cancel or keep running the ad. Yes, testing is the key! Hi Lisa Thanks for teaching & sharing your idea. Have you any new Technic getting traffic to my blog without spending money ? I got cheap likes from top countries with Facebook ads but the real problem is increasing the engagement, from 33k fans only 1-2k see my updates. Pretty bad! What kind of content are you posting? And have you been engaging/posting since you launched the page? Game related. Daily posting on the Facebook page. Only couple times I got over 10k views and I noticed those posts got good numbers of shares. The only thing I can tell you is to really focus on what your audience wants. Maybe this is working so well for me because it’s comedy/fun and people like sharing the funny things but using the memes online is really working well and helping me keep engagement up. Facebook Ads is good but it’s easy to lose money, I ran it a couple of times just like Sherman Smith but I didn’t make enough money to cover my cost. There’s a bit of a learning curve before you can get things to work right, so I think it only makes sense to invest the time and money needed to learn the intricacies. Yup! There’s a definite learning curve and you do have to be prepared to lose some at first. The key is setting VERY small budgets. I’ve heard of people spending hundreds of dollars waiting on conversions because they don’t cut the ad off. It’s all about split testing and tweaking. I’d love to see you do a video on this Lisa. Do you have a website too for the Facebook pages in these niches you are targeting? Timely. I have been working on Facebook ads again. Mixed results. But I am willing to invest some more time and money. Time is the big investment. Lisa, you can do what you want, but I would not encourage anyone to spend (waste) money on Facebook ads. Yes, you will get likes, and even some traffic to your website. But then Facebook will eventually cut you off from reaching your followers, and most of that money you’ve invested into getting followers will be wasted. Trust me, I’ve already been down this road, and have lost hundreds of dollars. Don’t fall for the hype. Well I’ve already made a profit from what I’ve spent, but I respect your opinion. What do you mean cut you off? Haven’t seen that happen yet. What it really comes down to then, is while you may have made a profit, the amount you will have to pay out over time to keep your followers updated will likely exceed the profits you’ve made. Unless you got in early and have hundreds of thousands of loyal followers, you can’t get very far on Facebook anymore, not without spending a lot of money, anyway. But you are free to do what you want, of course. But don’t forget to count the cost. I need to make a quick correction to something I’ve said. 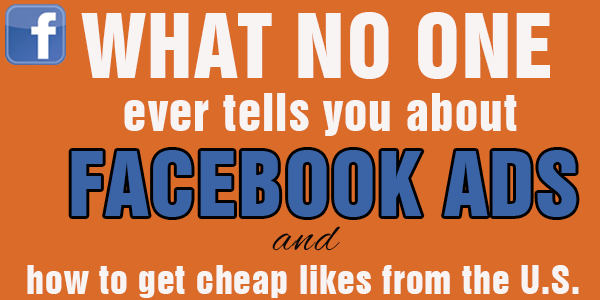 You don’t need hundreds of thousands of loyal followers to be successful on Facebook. You would like need thousands, however. And it’s going to cost you a lot of money to get that, due to how Facebook operates now. I do agree you need a lot of likes to make it worthwhile, yep. Thanks for your feedback, Chris and sharing your experience. It’s good for people to see all sides of this. I am doing something similar to what Lisa has done here and I bought likes in early 2014. I paid for about 1400 likes at around 10 cents per like. A year and a half later the page has 8,000 likes and my engagement is around 65% per post on average. I’ve never had to buy any more likes and now my page is growing organically from the shares. The reach remains about the same. It may dip here and there but when I post a “winner” it goes back up. So I’m just wondering how great your engagement was when you bought the likes? When you have it up around the 70% mark and keep it there, FB will continue to show your content. So Lisa, as long as you keep up the engagement not only will you keep most of the reach but your page will start to grow organically. In other words you will get free likes. I belong to a FB mastermind group here in Texas (Lisa you should join us!) and other guys in the group have the same experience for the most part. The ones who lost engagement were not posting enough “good” content that kept their pages engaged. The key is you HAVE to keep the posts interesting and engaged or you will lose the reach quickly. I have never spent any more money on my page and my likes grow at about 150 per week now. If for some reason my engagement drops like Chris says I would not ever buy any more likes. I’m getting enough organic, free likes now anyway. I’ve made my profit and wouldn’t pay them any more money. But Lisa sounds like you have a winner. You should be fine as long as you keep engagement up. Call me skeptical, but I have not encountered anyone who has a 65% average reach on facebook. Not even Facebook gurus who specialize in this kind of thing get that much. Average reach is about 16%; and that is a very generous estimate. Perhaps you can provide a link to your page so we can see what you are doing to maintain such unbelievable engagement? After all, seeing is believing when it comes to this kind of thing. I would never, ever buy any more likes for these pages. If I do experience what you did, Chris, I’d move on. Buying more likes just wouldn’t make sense for me….especially since I’m now getting likes organically (300 this week alone on my 4,000 like page). I guess this must be a rare thing? But if I can be honest, I believe that’s because I’m doing humor / fun. I think it would be harder to pull this off for a more serious/content blog. Just a hunch. Humor is the running theme with all my pages. Chris, is your niche a more serious one? Just curious? And were you getting any free, organic likes after you bought the ads from going viral? What I’m learning (and I’m still very new at this) is you have to get new likes (at least 100 per week) in order to not spend any more and keep your engagement up. Because if you aren’t getting new, free likes and your engagement for the older likes drops, you are screwed. I’m working with a new client now and helping him replicate what I’ve done. If I can do this consistently and help others, I will do a course, but if I can’t, I’ll just chalk it up to beginner’s luck. Cool Adam! I’ll contact you on your email attached to this comment and we can discuss this. I’d love to join a FaceBook mastermind group. Had a good day today on my most popular FB page. Opened my email and saw this in my inbox: http://postimg.org/image/qrh2qfanp/ – a bunch of Spreadshirt orders from one of my pages. Looks like a group of people got together and decided to buy the shirts. I posted a pic of the shirt a couple of weeks ago and a lot of people commented and tagged friends, but only got a few orders. But today…. so far 11 orders from the same shirt design. I guess a group of people in this profession I’m targeting must’ve decided to get one today. Cool! I’d love to meet some of the FB pros to learn more on the ads, etc. because I want to try this with other niches. I won’t spend any more on these pages but may try again with another niche. I’ve got tons of ideas spinning in my head. I wanted to wait until I made my money back before trying again. Well now that I’m at profit level I’m ready to try more. Are you doing shirts too? I’d really like to find a mastermind group for the shirt biz. This is so much fun to me. I want to take this to the next level. This blog post makes me wonder about the sustained traffic Facebook ads provide. Typically, I found Facebook postings had some immediate impact on traffic, but did not deliver on long term traffic like other venues like Pintrest. In my experience, Facebook postings may drive traffic to a site over a period of a few days then dropped off quickly. Whereas Pintrest delivered traffic for months and perhaps years. This now begs the questions: Do Facebook ads deliver traffic for much longer periods of time and is it worth it when considering the longevity and benefits of Pintrest that cost nothing? That’s why you use the traffic to send people back to your blog and ultimately your email list. You’re never going to get the sustained traffic from one post for months like you do with Pinterest. That’s just the nature of the network. But if you look at it as a way to build a readership for the long haul and build your list, you will retain those visitors. And whether or not it’s worth it will depend on how many of those visitors you retain and get on your list. That’s when tracking and testing will come into play. But in my opinion, investing $50 (total) can be totally worth it if can ultimately drive more people to your site and list and then continue to build up the following organically after you buy those initial likes. Paid traffic only makes sense if you can figure out a way to get more out of it than you put into it. And not everyone will do that. That’s why you have to test, test, test. is it possible to download your podcast? Yep. I just added a link in the show notes above so you can right-click and download the mp3 file. I like Facebook ads, I use the to drive traffic to my blog. It’s cost-effective and low cost-per-click. Thanks for the podcast Lisa, I am very grateful. I used facebook ads a couple of years ago (before the changes) to build my email list and get sales conversions. I actually brought price down to 1 dollar a click to 15 cents a click back then. I quit because I wasn’t making enough to cover the cost of the campaign but I I’m smarter now and like to get back into it. I’ll check out your podcast later when I have more time.